Some of our existing clients who have purchased from us over many years have kindly provided testimonials and comments about their experience when buying investment properties from Find UK Property. These clients have also kindly agreed to speak with anyone to give their feedback directly. In order not to bother them unnecessarily, we can arrange this once you are ready to proceed but before you make any payment. – A bit of information about themselves. – Why they wanted to invest and main criteria. – Their concerns and how these were addressed. – Are they happy and what did they like the most. – Would they recommend us? "I am an Algerian national who lived, studied and worked in the UK until 2012, after which I started a fantastic journey around the world as an e-learning Operations and Business Development Manager. For the last 2 years, I have been working between the UAE and Turkey. 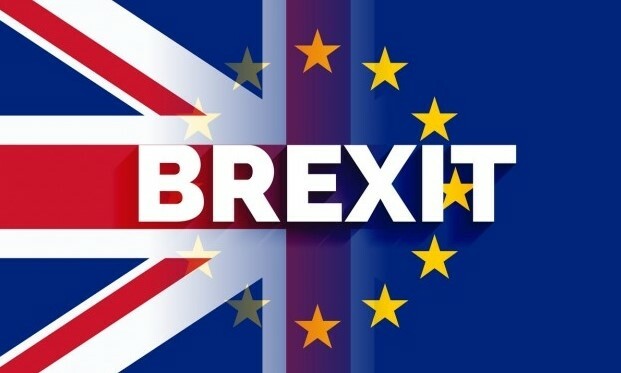 I wanted to buy an investment property in the UK because I believe that the UK is a very secure and reliable country, where my rights as a property owner are going to be fully respected. I was looking for a property within a specific budget. This was all communicated to Find Property, who found me something appropriate within a week. Initially, my main concern was how reliable and trustworthy the company was. I was interested in who was exactly involved in the process; especially because I didn't have the luxury of visiting the UK again to check the property due to work commitments. In addition, I was going to make money transfers blindly internationally and had to rely on them completely. I recognised another customer on their testimonials page and I contacted her directly to check things out. She was very satisfied with her experience and was intending to buy another property. This gave me confidence to proceed and many of my concerns faded away. I did not visit the company or the properties, but everyone including the Property Advisors and Admin staff were extremely transparent in their communication. Fees were not hidden and up to date pictures and plans where shared openly. The two main qualities that have made me a loyal client of the Company is their transparency in information and trustworthiness. Everything is completely managed by Find UK, as promised. I really appreciated the continuous follow ups on the property purchase process and being informed about rent payments in a very systematic manner. As we all would like to grow our investment, a Company who cares about your money as much as Find UK do is absolutely a premium company to work with. I am fully satisfied with the service provided by Find UK, and am even thinking of acquiring another property. I have already recommended them to my close friends and acquaintances, without hesitation. On a personal note, I would like to thank Find UK; especially Tariq, Gary and Habeeba, as it was the first time I acquired property and they made it an amazing journey from the first contact until I had the property under my name." "I am a secretary and have been living and working in Gibraltar for many years. I am a UK national and had some savings in a building society where rates were not wonderful! My sister (Claire Floret – who has also provided a testimonial) who lives in France, told me of her idea of purchasing a property in UK to rent out for an income. At first we thought that with a property not being in the same country, it could be difficult to deal with any problems arising such as keeping it rented out, bills and dealing with tenants etc. We initially thought that it may be better to buy something nearer to where we lived. However, after contacting Find UK Property and receiving full information and advice and being informed that they dealt with everything as well as offering a reduced rate of 7% instead of 8% in return for a guaranteed rental income, my sister decided to go ahead first. And after seeing the whole procedure go so smoothly for her, I decided that I would go down the same route! I did however, want to make a visit and see the company, the properties and the locations myself. I travelled to Manchester and was picked up from the airport and taken to the office and then to see the properties. I also met the solicitors who would later complete the property purchase on my behalf. They attested my ID documents so I did not need to visit again at property purchase completion. After the visit, I was happy to proceed with the purchase. Everything went smoothly and all paperwork was signed and completed by the end of the day. Subsequently I completed the payments, and the property was transferred to me. During this process I was kept fully updated by the admin staff at Find UK Property. At the time of writing this testimonial, I have owned my property for over a year, and so far, so good! I have been getting my rental income regularly and I have also registered with the tax authorities so that my rental income will be paid tax free. Any questions I have are always answered promptly and efficiently. What I like best is the fact that as I am abroad most of the time I don't have to worry about keeping tenants in the property. I also like the firm's friendly, personal and professional service. I would recommend Find UK Property to others in my position, i.e., wanting a good return on investment and living abroad." "I am computer programmer living and working in Abu Dhabi. I have a home in China with my wife and we will probably spend most of our time there when it comes time to retire. We are fortunate enough that we can save a reasonable amount of money. Leaving the money in the bank was not an option so I started looking at where I could safely invest. Being from the UK I have always known that buying property there was a safe option. As property prices were low we could also expect a reasonable amount of capital growth on our investment. We were looking for reasonably priced properties so that we could purchase fairly quickly and get our money working for us. As with any investment we had a few concerns. I did my research on Find UK Property to validate their claims of being members of the National Association of Estate Agents, The Property Ombudsman etc. How long they had been in business and if there were any complaints about them or the service that they provide. My confidence grew even more following my visit to their UK headquarters at Time Technology Park. They were punctual, professional and courteous. We chose the guaranteed option. As we wanted a fixed income that we could depend on. Each quarter the money just gets paid into the bank. Through the whole process everything was clearly explained and all given time frames were met. We wanted a hands off investment knowing that everything was being taken care of. We were so happy with the first property that we have subsequently purchased a second. I have recommended Find UK Property to a number of friends in Abu Dhabi - two of whom have purchased a property each." "I am a UK national and retired mechanical engineer living with my wife in Zimbabwe. Since leaving the University of Bradford in 1967 I have lived in Scotland, New Zealand, Zambia, Zimbabwe, Australia, South Africa and Mozambique. Most of my career has been in heavy engineering and mining. I now consult on major mining projects but prefer playing golf. We considered UK investment property as UK banks only secure deposits to £85,000 and pay interest of 0.5%. We have cash above this amount and the returns from rentals is above the bank rate; there is always the possibility of a capital gain. However, there is an element of risk. We were looking for properties that were readily rentable and managed by a rental agent. Poor delivery by the agent can be costly and we had bitter experience of this previously. Find UK Property popped up, at a very opportune time, on a web site I was browsing looking for investment opportunities in the UK. My brother, who lives in Burnley, also gave me some background on the group company before it was involved in the property industry. My sister-in-law used to work for them. As I am from the same area and have an understanding of the type of properties there were no real concerns. Once I had the addresses a quick trip on Google Street View showed the location and house frontages. I purchased two properties. Buying the properties without meeting “Find UK Property” or seeing the actual properties was a bit of a leap of faith but it’s not possible to nip down the road from Harare to Burnley. Because of my personal contact with them, I would recommend Find UK Property to others." "I am a retired Accountant living with my wife in Cyprus and I am a UK National. I have worked in Europe and also lived and worked in the UK and also the Middle East. As we both gave up work prior to retirement age and thus being ineligible for a pension until later in life. We looked for a guaranteed regular income and an investment property in the UK seemed a way of providing this and hopefully capital growth over a period of time. We were looking for a hands of investment providing regular guaranteed Income over a period of time. Like most people we were initially concerned about sending a large sum of money to buy an aged property in an area of which we didn’t have any knowledge. Owing to our own circumstances we could not view any properties However after several email questions and answers and telephone conversations with a director of the Company our concerns were allayed. The purchase of the first property was seamless; we selected the allocated property and paid the monies and then receive the agreed rental every quarter direct into our bank account. We have since purchased a further two properties and are very happy with the service provided. When there was an initial issue regarding the allocated property we had chosen, then a Director contacted us personally by both email and telephone to resolve the issue to our satisfaction. We understand that mistakes are made and we evaluate how good a Company is from how they deal with such an issue. Find UK Property is a “One Stop Company” which Acquires, Renovates & Manages a low cost Investment Property for the client. We would not have any hesitation in recommending the Company." "I am a Nigerian lawyer, living and working in Lagos, Nigeria. I bought an investment property in the UK with my savings and funds borrowed from my bank using my property in Nigeria as collateral in order to diversify my retirement investment portfolio ‎which was initially concentrated in the Nigerian economy into a more stable investment climate in the UK. I also liked the fact that I would also be entitled to tax free income in the UK due to personal tax allowance of £10,000 per annum. I wanted an investment outside Nigeria with a good rental yield compared with similar investment in Nigeria. Being a non-UK resident, I also wanted the property without maintenance and other issues as well as rental guarantee. My visit to the company office was impressive though I almost messed up the schedule because I got on the wrong train on my way to Preston! That notwithstanding I was picked up from the train station and later dropped off as I had to return to London. I was able to cram visits to the office, two properties at various stages of renovation as well as meeting the solicitor for ID attesting within an hour in order not to miss the train for my return trip to London that day. The purchase and service has met my expectations and aims. I am happy. I like the Guaranteed rent, Title registration and property maintenance aspects of the services most! I also like the opportunity to purchase additional units of investment properties on instalment payment basis (paid via rental income) without incurring interest on the purchase price of such additional investment properties. I would definitely recommend Find UK Property to others because they have met and even exceeded my expectations. Big thumbs up for the opportunity for me to provide this feedback. Please find attached a picture of me." "I am a British citizen working in logistics and based in the UAE. Since leaving the United Kingdom 8 years ago, my family and I have settled in Dubai. We sold the family home in the UK soon after and decided to stay in Dubai longer than previously anticipated. We put the cash in the bank after selling the house, but we noticed that there were no high returns and no income with the cash sitting in the bank. We then looked to invest in a UK property which could generate a moderate income. After looking around for the properties and meeting many estate agents we were really finding it hard to decide on what to do. This is when we came across the Find UK Property website. It had detailed information on what services they provide and the properties they had for investments. At first we could not believe the low prices on offer for two and three bedrooms houses but then thought of giving them a try and see how they could help us. At first, we were hesitating to use their services as they were not our local agents. They answered all my enquiries by telephone and email, and I found their response very professional. After many emails and several calls I sent my ID information and got the reservation documents. After this, we made an appointment with them to view the properties to select one. As I had to travel by train, they were kind enough to send me a taxi which picked me up from the hotel. I didn’t know the area very well, and didn’t have my car. They met me at their offices and then took me around the local area showing me different properties to view, and locations of local schools, shopping malls etc. We spent most of the day viewing properties until we found a suitable one with which I was happy with. I also met the solicitor who would later complete the purchase. The whole buying procedure and property transfer process was really easy and there was support all the way from their professional team members. The good thing about the deal is that we are on a guaranteed rental income scheme, and we have been getting the agreed rental income on a regular basis. Find UK property deal with all the management as I live abroad. They are also responsible for all of the repairs and property maintenance and I do not have to worry about such issues at all, or even pay for them as these are covered under the guaranteed rent system. We are very happy with the service that we have been receiving and that’s why now, this year, we decided to buy our second property with them. I visited again and this time had my wife with me, to help me select the second property. The property was undergoing renovations when we visited. We liked the property and its location and it has recently been transferred to us. We now have two properties with them. We are glad we have chosen the right property professionals. I strongly recommend Find UK Property as they really do what they promise and the best thing is that all the members of the company are professionals and really helpful in all matters." "I am a pilot living in Hong Kong and I am British. I was looking to get an investment property basically to get a good return on the money invested, with decent rental income and future property capital growth over the long term. Because I am from the UK, I wanted to buy a UK property to keep my connection with the UK. When I found out about Find UK Property, I was initially hesitant – Were they real? So I did do my own research and made enquiries by phone and email to satisfy myself. I liked the service they were offering that would enable me to purchase easily and would provide long term management with guaranteed rent and property maintenance. Due to my work and the distance involved, I did not visit prior to purchase and everything has been done by email or phone. All of my questions have been answered satisfactorily and the purchase and subsequent management has proceeded as expected with no surprises. I was able to make the reservation, make payments, select the property and get it all transferred to my name whilst still being abroad. They sent me Land Registry forms to complete and I provided my ID documents, attested by a local solicitor here to enable registration at the UK Land Registry. I like the fact that all of the staff respond very quickly and so far, I have been getting all of my rental money on time. There have been no tenant or property issues for me to worry about and I understand that even if there were any such issues in the future, the company would fix them without my involvement. The guys have been very good, and arranging the tax exemption was easy. I would recommend Find UK Property for someone looking for an investment who doesn't have a lot of time and is living abroad. There are many UK nationals living and working abroad that would benefit from this service. The whole process was all very simply and painless and exactly as agreed." "I am an Information Security professional and although I am a UK national, I have been living and working in South Africa for many years. I am close to retirement age, but not sure yet whether I will retire in the UK or stay in South Africa for a time. I was interested in an investment property in the UK, as I was looking for two things - One, to spread the risk in terms of my investments, and property is generally regarded as a reasonably safe investment, and Two, to generate an income to supplement my retirement income. Besides, money sitting in the bank earns very little, and I believe money should work for you. In looking for property, I had a limited budget, so was looking for low-end properties, and it was most important to find a truly "hands off" investment with a reasonable rate of return. In looking for such opportunities I came across Find UK Property on the internet. After exchanging a few emails with Find UK Property, I decided to go ahead with the investment. I must confess I was a little nervous, as I knew nothing about the areas or the company, and I took some time to make up my mind. I was concerned whether I would actually get value for money. I opted for the rental guarantee option as it was the more secure, although a slightly lower return. In the end, I made the decision, and bought a property, sight unseen, trusting in Find UK Property to provide good advice in terms of both the property and the area. The entire transaction was handled very professionally by Find UK Property and their nominated attorneys, both of whom displayed a lot of patience in their dealings with me. Some months after the transaction was concluded, I travelled to the UK and was able to visit my property. I was pleasantly surprised, although Find UK Property had kept me updated throughout the process, and the house had been redecorated and was in good condition. So far the entire experience has been a pleasant one - the people at Find UK Property are helpful and very professional, and although it is still early days in terms of my investment, I am confident they will continue to look after me as a client. For those reasons I would not hesitate to recommend Find UK Property. Perhaps best to try and view some properties before you buy, but if you can't (as I couldn't), you can trust them - and that's what counts an awful lot..."
"I'm Hadil Haidar, a Kuwaiti national, working currently as a Learning & Talent Management Specialist at Ooredoo, a Mobile Operator in Kuwait. I had been looking for an investment property for the previous 2 years. I wanted to buy an investment property in the UK because, the price of the real estate in the UK has come to a more attractive purchasing price and the demand for rental homes is on the rise. I was looking for a property that can match my budget and location requirements, and give me the highest possible return on my investment. Initially my main concerns were the condition of the property, location of the property and how I can manage it - and Find UK Property were able to put my mind at ease regarding all of these. My visit to Find UK Property was Awesome! I was well received by the Find UK Property team, they explained to me in detailed the whole purchasing process and they answered all my questions. The purchasing cycle was excellent. The agreed property was transferred to my name. The before and after sales services is fantastic! The things I liked was that the company was very transparent with no hidden costs or fees. I received personalised attention from the first search until the closing of the property purchase, and after wards. Absolutely yes! I would recommend Find UK Property to anyone in Kuwait looking for a low cost investment property in the UK with good long term service." "I am a Bulgarian who has been working for more than 25 years in the construction industry in Africa – mainly in West Africa. During the past few years our business, as with many other businesses, was affected by the global recession and turbulent changes in the price of crude oil – the main source of revenue in some of the West African countries. Looking for a safer area where I could invest some savings without fear that my investment could be so affected, I saw the advertisement of “Find UK Property”. Being recently a victim of an Internet fraud, initially, I approached the company with some reservation. Luckily for me, very soon I realized that I was dealing with a genuine company and the attention that I received during our discussions and e-mails, and the subsequent visit to their offices, removed all of my fears. There are many European Countries where a person can consider investing, but I do not think that there are better conditions for investment in other countries, than in the UK – (tax free income up to a certain amount due to the personal allowance, continuous appreciation of the value of the properties in UK, the policy of the Government to boost the UK economy, and many other advantages). My humble opinion is that anybody looking for secure investment should consider the property market in the UK. The properties offered by “Find UK Property” are really very attractive and good value for money. These are suitable for any potential buyer who is not sure what type of investment property they should buy. I did a lot of research and I can say that overall there is really no better offer than this in the UK for any property investor in this price range. And it is a real bonus to have such a reputable company, that is ready to offer lots of assistance and is always very professional, look after the property. From my experience of interacting and meeting with all of the people working in the company, I can say that these are highly trained professionals with a passion for their work and care for their customer. Their goal is not just to complete the deal and to add one more property to their sales. I think these people really care for their clients and want to ensure they are offering excellent service. Their business model seems to be based on making sure their customers remain happy. Picking me from the hotel in Manchester, the visit of their office, inspection of some properties, preparation of the documents - everything was arranged perfectly. Practically, the purchase of the property was completed satisfactorily and all the required registrations – Land Registry, HMRC and other formalities were done as per the stated timelines. Within a few weeks, I became the rightful owner of a property in the UK. I think the adopted business system of “Find UK Property” to acquire, renovate, rent, transfer and maintain the property on behalf of the property owner is very good, and I will strongly recommend this company and their service to anybody who is looking for a secure property investment in the UK." "I'm British living in South Africa, my husband and I are in our early sixties, we have lived in SA for 40yrs but return on holiday to the UK often and will possibly return to the UK at some point. We had some funds and didn't want to invest in any more property in SA, so being British we thought of the UK, did some research and found Find UK Property. We wanted to get a reasonable rental but more to the point was that the property would hold its value, and the rental would be good, we get a good interest rates in SA but our currency is losing so much value we need our funds to hold its value. Our concerns were, are we dealing with a genuine company as there are so many scams out there. So we decided to travel to the UK and spend a few weeks with family and drive down to see, find Uk property and visit a few of their properties. All our questions were answered and we bought 2 properties. Everything went just as find uk property had said, all there info that's sent to you explains it all so well you just refer to that when you are not sure on anything, they also answered emails promptly and we are very happy with our purchase. What I liked about the whole experience was that it was all done with such ease with no surprises. Other things we liked about the purchase was, no worries about broken toilets etc. especially as we are not in the UK these problems would be taken care of by Find UK Property. Any concerns we had were dealt with promptly, our rental goes straight into our bank account, no stress, also the rental is guaranteed. I would recommend Find UK Property without reservation, and would consider buying another property with them. Overall the property purchase was a good experience." "I am a Malaysian and graduated from a university in London, with a doctor of philosophy in nutritional therapy in 2013. I won a Malaysian research award in exploring a fruit's therapeutic effect. This brought me here in London to do a nutritional research in relation to human health. I plan to be in London for at least 5 years. Investing in property is always my interest since young as i believe the return is probably better and more promising compare to other investment. I am attracted to the beautiful landscape in the countryside of UK although the weather sometimes may not be appealing to certain people. Since i have some savings, why not i make some investments in the UK. I was looking for a property with freehold status, 2 bed-room, with garden, parking space for my future staying or retirement time. It is an added advantage to rent this property for somebody to take care of the house and at the same time to earn some rent. The first concern in my mind was whether Find UK Property is a registered licensed company or property agent in the UK. Our concerns were fully addressed. We (my husband and I) were impressed for the hospitality that Find UK Property extended during our visit. They took all their efforts to show us as many properties as they could. They even suggested or thought in our shoes which made us felt very much appreciated. We are happy with their service and purchase. It was a little delay for the final document from the Land of Registry, which made me worried at that time. It was resolved at the end. Now, I would think, it was only a small matter as i was keeping in touch consistently for the progress of the purchase from Find UK Property. - First, was the prompt response and right assuring answers whenever i have questions or doubts in the beginning of the purchase via email. - Second, the sincere hospitality that we experienced during our visit to the office. - Third, the smooth progress of the purchase until the final purchase stage with my name in the Land of Registry for the purchased property. - Fourth, the guarantee rent which has been banked into my account without fail for the past years. They are professional and really made us have no hassle for the property investment. Well done and great job to Find UK Property. We really appreciate your existence that benefits us." "I am a Kuwaiti retired naval Officer. After 30 years of service in the Kuwaiti Navy, I was looking for peace of mind. I started to think of making my savings do the work for me. I thought Great Britain is a safe place to do my investment. I think it is a stable property market. I was looking for long term investment so that I would receive pension type income. I wanted a good net rental yield from the property and growth in value over the long term - Not to forget good management Package and rental guarantee. Actually, at first, I wasn’t sure that Find UK Property will keep their word & guarantees they state on the website and emails, but I was wrong - they kept their words and provided very good service. Because of my initial concerns, I made the effort of making a special visit just to see them, look at the properties, meet a solicitor and to make sure that my investments would be safe. When I came, I really enjoyed the visit to meet them at their offices and to see the properties. They picked me up from a hotel in Manchester and later dropped me off at the rail station as I had to do some things in London. I spent 4 hours with them and over this time I asked many questions and satisfied myself. They also took me to a lawyer firm to meet a solicitor, who later did my purchase registration at the Land Registry. I saw numerous properties in different areas in several towns. The visit was good as it addressed all of my concerns and I was happy to buy two 2-bed properties. I am very happy with my purchases. The people at Find UK property have been very good (especially Hashim, Gary, Andy and Tariq). My properties have been registered under my name at the Land Registry and I have got the documents for both of my properties. They have been paying my rent regularly at the end of each quarter into my bank account. - They give good honest advice and do not oversell. Yes. I would recommend Find UK Property and I have already recommended them to my brother’s family who have also purchased a larger 3-bed property, without even visiting them. The property has been registered under their name and they are also getting rental income regularly. Find UK Property do not over promise and deliver on exactly what they say. Thanks for the opportunity for me to provide this feedback. Lastly, I like to say, thank you so much Tariq and Hashim - you were very supportive. " "I am a Zimbabwean national and have been working in Africa for 15 years. I run a business in the microfinance/moneylending market. I hope to retire soon and will probably relocate to the UK sometime in the next 10 years. I wanted to buy investment property in the UK because I wanted to grow my savings and generate income. I visit the UK often as part of my business and thought that it would be a safe place for investment. I would eventually be reconsidering relocating to the UK in the next 10 years. I wanted to buy a property that would give a good net rental income and also grow in value over the long term. It should be easy to rent out and easy to resell should I ever need to resell – although I do not have plans to resell. I also wanted it to come with some sort of rental guarantee and a good management package so that I would not need to deal with anything as my work keeps me very busy and I am usually not in the UK. Initially, I thought the prices were very low and I was worried that these low cost properties would not be in a good condition. I also thought that Find UK Property may not live up to all of the claims such as Guaranteed Rent and free repairs. On paper it seemed too good and I wanted to visit to check things out myself. I enjoyed the visit to their offices and it was indeed just like the video that I had seen on their website. I travelled from London by train and they picked me up from Preston Station. I spend 3 to 4 hours with them. They answered all of my questions and concerns well, and I also met an external solicitor for ID attesting. I saw several properties in various stages of renovation in different areas in several towns. The visit was good as it addressed all of my main concerns and I was happy to proceed with the property reservation and select my specific property later. I was very happy with the purchase. All the staff I have had contact with (Gary, Tariq, Hashim, Jess, Andy) have been very helpful and I have not had any issues at all. My property purchase was completed and property has been registered under my name at the Land Registry. I have received the title documents. I have been getting my rent on a regular basis paid into my bank account at end of each quarter. Last year I purchased another property and now I will be buying my third property within the next month. I like the Guaranteed Rent system the most, as this takes away any worries and I know exactly what I am going to get on my investment. Other things I like is the fact that I do not have to worry about any repairs or tenant issues. I also like the fact that the company is not a sales company but just provides good service and responds very quickly to any requests. They seem genuinely set up to provide long term service and customer satisfaction. I would recommend Find UK Property because they do exactly what they say in their marketing and literature. I have already recommended them to my colleagues." "I am an English expat living in France with my French husband. I have lived here for many years now and we are very settled. As I had some savings I thought about investing in some property in U.K., maintaining a link with England and to make my money work rather than leaving it in a deposit account where it was earning very little. As I am not resident in England I started looking around on the net for where to invest my money and came across Find UK Property. I liked the fact that they would take care of all the property searching, renovating and renting as well as all the arrangements to transfer property to us. We made a reservation and agreed to visit at the time of property selection. My husband is familiar with properties and renovations due to his line of work, and our main concern was if the properties would be in good condition and renovated well. We wanted to visit ourselves to see the properties, the local areas, and meet the company. At the visit we were met at our hotel and taken to visit 3 houses of the type we reserved in different areas, until we found one which suited us. We also made a visit to their offices and I found them very professional. The visit answered all of my concerns. Everything went very smoothly for the purchase and as promised, Find UK Property dealt with everything. With living abroad this made it very easy for us. I have found their service that I received prompt, efficient and helpful. I like their guaranteed rent system and the fact that they take care of all of the property maintenance at their cost. That way we do not need to worry about things. I would recommend Find UK Property to others looking for a similar investment. In-fact I have already recommended them to a family member – my sister Lynn McCouat (who has also provided a testimonial) who is also living abroad (in Gibraltar). She has also visited the company and has purchased a similar property nearby with their help"
"I am a UK national and am working as a registered Nurse in a tertiary hospital in Riyadh. I have been in Saudi Arabia for more than a decade and am planning to return to UK next year. The interest rates paid by my bank dwindled from 3.5% over the years to 0% so I decided to generate income by buying an investment property. I selected the UK as the property market is stable and the UK laws are very transparent and I feel safe to invest in the UK. I was interested in affordable properties and with a company like Find UK to manage them for me while I am globe-trotting. I was initially concerned about having to pay my payment to Find UK and not my Solicitor as per normal property purchase transactions in UK. However, in the end everything worked out ok. When I visited I was well received. I was met at the Preston train station and taken by car to Find UK property office where I met a senior director. Then I was taken to meet a solicitor to clarify proof of identity. They took time and care to look out for certain property criteria I had mentioned. I was able to view several properties before making a decision. I was happy with my purchase and the service provided by Find UK is meeting my expectations and aims. I am very happy and wish I had bought properties from Find UK many years ago. 2 years later, I purchased another property and am hoping to buy one more next year. - Excellent management of properties. - Rent paid to my account on time. - I feel free to email Find UK staff for advice re tax returns etc. I would recommend Find UK Property and have already done so. Buying property that is well managed is a great investment." "I am Ivan Yau. I am living in Hong Kong working in the I.T. sector. I like travel a lot that I have visited UK such as London, Edinburgh, Cardiff, as well as U.S., Japan, Doha, etc. As an investor, I always want to diversify my investments, I like UK. UK people are nice. UK legal system is well-defined that can protect both the landlords and tenants. As I worked in the I.T. sector, I found Find UK Property just in Google search. At the very beginning, I doubt everything because I am not familiar with UK property investment as well as this company. But then after few emails and phone calls, I finally booked a 10-hr flight and met the staff including senior consultant, Tariq, in their UK offices. I visited the offices and saw the properties. And then they also led me to meet a lawyer which offer identification service to people. I found that everything I saw was very concrete. All the things meet my expectations; I am very happy about that. Find UK Property transferred rental income to investors in a very timely manner with a detailed quarterly report. I can see every transaction very clearly. i) Tariq is nice and helpful, he answered my concerns in emails. ii) the admin staff is also very professional, they sent detailed quarterly report to clients in a timely manner. iii) the whole investment is truly hand-off for me. I will recommend Find UK Property just like I am now writing this sentence. The reasons are that they are very professional and helpful. They manage the properties quite well that the property management is hand-off to investor. I am also happy to provide my photo." "I am a UK citizen, PhD holder living in Qatar with my wife and three children. I work at the Qatar Leadership Academy. I and my family are privileged enough to be able to save some money during our stay in Qatar. We were looking for a safe way where we could invest our money rather than just leaving it in the bank. I have been always very interested in investing in property and I believe that investment in property is probably better, safer and more promising compare to other forms of investment. Accordingly, we started looking all over the world for a property at a reasonable price and that could be rented and managed by a reliable agent. We wanted an agent who could take care of all purchasing and rental procedures without hassle to us, as we are living abroad. Find UK property was recommended to me by my sister who had an excellent experience with them when she bought a property in Dubai from their sister company – Openshore Property. She had also visited them at their UK offices and seen their operations. My initial main concern was whether Find UK was a licensed company that could operate properly and according to UK laws and regulations and provide satisfactory services with no hidden costs. I became confident after doing my own research on Find UK Property and got in touch with them. Their staff seemed very professional and highly trained and my concerns were fully answered and we were given many options and the right recommendation. I was not able to visit myself but was able to make a reservation and subsequently selected a property with which I was happy with. One of my friends also purchased a property from Find UK Property around a similar time and he was able to visit and see his property as well as mine. Now I have my own Property which is registered under my name and the rent is deposited quarterly in my account even though I haven’t yet seen it physically myself. I am very happy with the whole purchasing procedure and the professional and excellent attitude of all the staff. Everything was explained clearly and all questions and concerns were addressed promptly. I also liked the guaranteed rent scheme which gave me the peace of mind that I was looking for and no additional costs such maintenance fees and service charges. I have already recommended Find UK Property to my friends and relatives in Qatar who are looking to purchase soon. I have explained to them how simple the procedure is of purchasing a property in UK with help from Find UK Property." "I am a national of Thailand and I visit the UK often. I am a business owner and am normally resident in Thailand. I first wanted to purchase a property in the UK for long term investment which I could also use for holidays. However, large properties near London were very expensive. After discussing with Find UK, I agreed just to buy an investment property in Lancashire and leave it rented. They suggested I use some of the rental income for my holidays and this seemed like a good idea. Before making any reservation, I and my husband wanted to visit the company and also see the properties. We planned a visit with the entire family and arranged to fit a visit to Burnley in our UK travel schedule. When we visited the whole extended family was with us – all 7 of us. The staff at Find UK property were very helpful and took us all around in the 8 seater car to see different properties. We were quite happy with the company and the types of properties. We also met a solicitor after viewing the properties. After the visit, we were quite confident about the company and we agreed to make a reservation of a 2-bed type of property without specifying a specific property at that time. A few weeks later we were able to select and agree the actual property and it was transferred to us by the solicitor after we made our final payment. We have received all of the property title documents. Yes, we are very happy with the services provided and they were able to hold my rent securely in the client account until my UK bank account was opened. Since then I have been getting my rent regularly into my UK bank account. The thing I like most is that everything has been done for me and I need not worry about any property or tenant issues. I also like the fact that they always help and respond quickly to any requests. I would recommend Find UK property to anyone who is looking for a good value investment property in the UK and does not want to do things themselves. Find UK property do everything well and I would have had difficulty in buying such a property without their help." We are originally from Pakistan and are now based in Singapore. We plan to stay here for another 3-4 years. 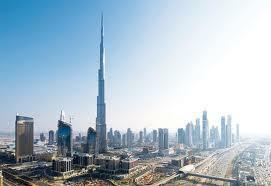 We had already bought property through Find Uk Property (sister company Openshore), in Dubai. We were originally recommended the company when we were looking for property in Dubai, by a long standing customer of the company who was working with us and had already purchased some properties in Dubai with their help. We wanted to diversify for our next investment, but continue with Find Uk because of the excellent service they had provided in Dubai. On their recommendation, we looked at options in the UK as it fit what we were looking for. As per our Dubai investment, we wanted a no hassle solution, while at the same time minimising risk, and a fair return. Find Uk could provide an end-to-end proposition - that is, they could locate a suitable property at the right price range, find tenants, upkeep the property, and provide guaranteed rental service, until we would want to exit. We faced the usual initial concern around how do you know that it’s the right property, it’s the right agent? The relationship and trust already established through our earlier purchase in Dubai helped greatly. All relevant information was provided for me by Find UK Property such that I didn’t feel the need to even visit the UK. The detailed knowledge of the property market that they provided was most useful, such that they could identify and recommend the right entry after reservation. I like the fact that I don't have to worry about the property investment - that is, Find Uk can take care of the property management at a nominal rate. Also, the process is smooth as they take care of all aspects. Like the Dubai investment, the way they structure the deal was very helpful, as they made the future value very transparent through that structure. Based on our experience, yes, we would certainly recommend Find UK Property for a trust based, no hassle solution." "I am a lawyer in Abuja, Nigeria and visit the UK regularly, usually in the Summer. I was looking for a low cost investment property in the UK to grow my money and give regular income for family expenses. As I visit the UK often and have my relatives here, I thought it would be the best, and the safest place to buy. Initially I was looking for a property near London that would also be useful for use by our own family in the future. However, I found that prices near London were just too high, and it was difficult to get a mortgage when you are not resident in the UK. Also the rental was not as good as I wanted when compared to the price of the properties. I think somebody in our office recommended I look at Find UK Property. I found the prices to be very reasonable and I very much liked their guaranteed rent system; but was initially concerned about the company as I did not know them. I asked my cousin who was a UK national and living in London to make a visit to their offices and meet up with them. He was very good and did his research and visited the company. When he visited, he called me to say that he was happy with the company and the staff and recommended I go ahead with the reservation. I then made a reservation and decided to visit myself a few weeks later before making the 90% payment. I visited with my aunt and we travelled by train from London to Preston. They collected us from the station and showed us their business and answered all of my and my aunt’s questions. We were very happy with the visit and the property which had been renovated when we visited. We made the final payment and the property was transferred to us a few weeks later. I am very happy with their service. They always respond quickly to any questions by email or phone call. I am getting my guaranteed rental regularly and have had no issues with the property at all. The purchase has proceeded exactly as per the steps outlined by them and as they promised. I am happy to recommend Find UK Property to anyone in Nigeria who wishes to buy a low cost investment property in the UK with good service." "I am a UK expat, living in the Middle East for the past 5 years. I plan to return to the UK in the next 2 years. I wanted a better return on my savings than interest in the bank. I also wanted an investment that would grow in value, so I started to look at suitable low cost investment property in the UK. -The investment had to be less than £75K as this was my maximum budget. -It needed to be secure – such as freehold property in my own country. -It needed to be low maintenance as I did not have the time to deal with any property or tenant issues. -It had to generate income and increase in value over the long term. -It is real? With so many Internet scams you always have to take steps to make sure. -Can I trust them? They would be looking after my investment for a very long time and I wanted to check if they were the sort of company that would deliver on their promises. -Is this a good investment in terms of net rental income and future capital growth over the long term. All of my concerns and worries were addressed before and during my visit. Good information was given before my visit and the all the details explained. At the visit, I saw the properties, met the lawyer, and was guided through the process of purchasing the property. I am happy with the services provided and the return on my investment. They are indeed delivering on their promises. The thing I liked most was that everything was done for me and if it wasn't, I was guided accordingly. I also like the fact that questions were answered quickly, there was no sales pressure when initially considering this investment, and my rental income is paid correctly and on time. Yes – I would recommend Find UK Property to anyone in my position considering a long term investment. It is an easy and secure way to earn income and grow your money. Property investment is a safe way to invest for the future." "I work as a Training Manager at the Land Rover Jaguar dealership in Egypt. I have a dual nationality, Egyptian and British, I have been living for most of my life in Egypt. I have no plans to live in the UK at present. I wanted to buy investment property in England due to the unstable political situation in Egypt in the previous 4 years. I was looking for some stable income from a property in England to pay for my son's school fees in the future. The property had to be reasonable in price due to my budget. I came across Find UK Property on the internet and found the information that they provided was very good and relevant to me. They answered all of my questions by telephone and email and I was happy to make a reservation without visiting them first. I had little concerns when contacting Find UK because of the very professional brochures they offered on-line and the way they dealt with my enquiries. I was convinced that they were a reputable and honest company. They were kind enough to help me with some unrelated legal matters in the UK which I had found difficult to deal with myself. They were able to deal with this professionally and properly and in the process, were able to recover some funds for me. I paid the whole price of the property before visiting them. The reason for the visit was to choose one of the properties available. They collected me from Manchester Airport and I met them at their offices, viewed a number of properties, met an external solicitor and was very impressed overall with the company and staff. They made me feel completely at home. I am very happy with all the proceedings and performance of all personnel in "Find UK Property". The agreed property was transferred to me and I have been getting my rental income promptly. The best thing I enjoyed was my visit, as well as the smoothness of completion of all legal matters. I also liked the help concerning my tax exemption papers and the free transportation to my destination in the UK after the visit. I had to be at a training event and Find UK arranged to help me out. I would recommend this company to anyone looking for UK property because of their honesty and wonderful co-operation." "I am Nigerian national living in East Africa and have been interested in property investment for a long time. I had some savings which I wanted to invest for the long term, to generate good income and also to protect my funds from inflation. I worked in the UK before moving to East Africa and I now often visit the UK. I felt the UK was the best location for secure long term investment. Getting rental income in sterling currency was important as other currencies are depreciating. I came across Find UK Property on the Internet and made contact with them. They seemed to offer the full service I was looking for and the property pricing was within my budget. However, I was initially concerned about two main things. Firstly, I wanted to make sure that the company was set up to provide good long term service and would deliver on all of the services promised. Secondly, I wanted to make sure that these properties were in good condition and the prices charged were representative of their value. So I decided to make a visit to their offices to see their operation, meet with solicitors and also view a number of properties. The visit went very smoothly and I spent 3 to 4 hours with them and viewed a number of renovated properties and some under renovation. Both of my main concerns were satisfactorily addressed and I decided to make a reservation. After the visit I felt confident that the company and its people would look after me, and I started thinking of possibly buying another property in the future. Subsequently I agreed my specific 2-bedroom house and that property was transferred to me within 4 to 6 weeks and I have been getting my rental income on a regular basis. Later I decided to purchase another similar property and I did not make a visit on that occasion and did everything by email and telephone calls. - They provide very good overall value with well renovated properties at keen prices. - Their Guaranteed Rent System means that I know exactly how much rental income I am going to get. I do not have to worry about repairs or other costs. It removes the uncertainty from property investment. - They make the buying process very easy. It would have meant a lot more effort for me to buy such properties without their help, and I am sure I would have had a lot of problems if I had used someone else. I would recommend Find UK Property to other property investors for all of the reasons above. I would suggest investors visit them, especially if they are looking to buy multiple properties. Then you will have more confidence to proceed, and it will lessen your anxieties." "I am a UK national. We have lived in Bermuda for most of the last 30 years, aiming to retire and relocate back to the UK in the next few years. Originally we thought about buying our main house in advance of our return, but we were not sure where we would be living and did not have time to look at a lot of properties. We did not want to make the mistake of buying in the wrong location or a property that may not be suitable for our eventual requirements. So, we thought it made more sense to buy an investment property that would continue to grow in value and give good rental income. We could, if we wanted, later resell that and buy an “own use” property if needed. I contacted four companies through their websites to find out what services they were offering relating to investment properties. Find UK Property was the company that offered most the detail about their operation and seemed to offer the most complete service. Dealing with companies through their website and by email from 3,000 miles away, you are always concerned about scams. You want to make sure you are dealing with a real and reputable company. Thus both of us wanted to visit and do our own research to check everything out. We had a good meeting with the company at their offices and we spent about three or four hours visiting four potential properties. Our guide had been with the company many years and seemed very knowledgeable. We also met solicitors in Colne who eventually did the property transfer and the formalities with the Land Registry. Everything went smoothly and after the initial paperwork there is very little input needed from us. We receive a quarterly statement and payment just before the end of each quarter. The thing we liked the best about the whole process was the fact it was so easy. Living so far away, you want a company that handles all the details so that you do not need to worry about anything. Other things I liked was the touring of the prospective properties with a friendly and knowledgeable guide, the quick responses to any queries, and the Guaranteed Rent system. Yes - I would recommend Find UK Property to anybody who has savings. Interest rates are so low and the markets are volatile. I think diversifying into investment property make a lot of sense, and Find UK Property are an easy and reliable way of doing that." "I am a UK national and have been working in the Kingdom of Saudi Arabia for the last five years. I work as a doctor in one of the main hospitals here and do not have any definite plans in terms of future location. I wanted to invest my hard earned money in a property which I could rent out and earn from, at the same time protecting the investment. 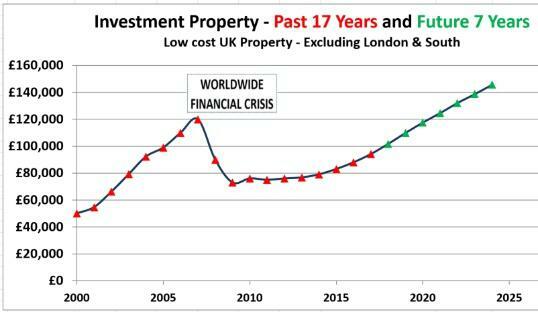 The UK seemed like the perfect location, a stable economy where property prices slowly increase over the long term. My funds were limited and so I was looking for a low cost property with reasonable rental yields which someone else would manage for me, as I knew I would not be able to devote much time to the project. Find UK Property was originally introduced to me by another doctor colleague of mine who had visited them a few years back when he went to the UK. When I explored this further, I noted that the houses were low cost and the company made what seemed like very good promises about rental guarantees and managing the property. But, I was initially worried the house would be in an awful condition due to the low price offered, and I was concerned that rent might not always be forthcoming. However, photographs of the property and further information from another colleague who had dealt with the company over a long period previously, allayed my concerns. I was left reassured that Find UK Property was a trustworthy organization that would live up to their pledges. Currently I couldn’t be happier with how things are going. I am the legal owner of the property, the payment scheme was to my liking, and the property is being managed without any issues. The best thing is the personal touch in dealing with the company. I always have had my questions answered promptly. I also like the “hands off” approach to the whole purchase, the fact that I was able to complete everything from abroad and that my property is being managed without any involvement from myself - A hassle free investment! Most importantly, they have lived up to the claims that they made at the beginning. Guaranteed rent, no need for excessive travel, good quality property management, hassle free purchase, and professional communications. Another colleague of mine also purchased a very similar property at the same time as I did, and he too has been very happy with the purchase. I would certainly recommend Find UK Property to anybody who was looking for a low cost, hassle free, UK property investment with good rental yields, and no time for all of the difficulties of property management. Such an investment lets your savings work, without having to put in any work yourself! I have already recommended the company to several others here, and recently the father of one of my Saudi colleagues has also purchased." "I and my wife live in the Cayman Islands but we are UK nationals. I had savings and wanted to use these to earn income. Property is very expensive here in the Cayman Islands and I thought about investing in the UK. Initially I did a lot of research into various types of low cost property investments including Student accommodation, hotel apartments, car parking spaces, commercial properties and storage units. The biggest problem with these was that there seemed to be no genuine resale market. I was worried about the value I was getting for my money. I also found that many of the companies selling these types of investments were very aggressive with their sales tactics - calling me many times a day to force me to make a decision. I also came across Find UK Property on the internet and liked what they were offering. The prices were within my budget and these were real residential properties from the market which had been fully renovated and could be used by anyone and re-sold at any time. I also liked their guaranteed rent system and purchase process which meant that I would not need make visits to the UK to acquire a property investment. The thing I liked most was that they were able to answer all of my questions professionally and in detail. They did not pester me at all and just provided what seemed like good common sense advice. On the basis of this and the fact this fitted in exactly with my requirements, I decided to make a reservation without even a visit. They helped me select the specific 2-bed property and kept me well informed throughout the purchase process. We decided to purchase the property under our joint names. If something happens to me then I know that the property will automatically pass to my wife without her having to do anything. The documents were attested by our lawyer here in Grand Cayman and the properties were transferred to us. I made my final payment in USD as this was easier and the exchange rate offered by my bank was not as good as that offered by their bank - Nat West. Since then, they have also helped me register with the Tax office so that I can receive my rental income without any deduction of tax and we have been getting the rental income regularly. I asked them to send the rent every 6 months to minimise bank transfer costs – the bank charges here are quite high. I believe that Find UK Property are one of the best real estate companies in the UK. I am happy to recommend them to anyone wanting to buy investment property in the UK." "I have been an expat for 23 years until I retired early, working for an Airlines' IT department in Saudi Arabia. I am living in Kuala Lumpur with my wife. I am a UK citizen. We intend to come back to UK within next year or so. I wanted to buy a property in the UK for investment purposes only. My main initial criteria were that it should give good return and be fully managed with minimum investment. I happened to notice Find UK Property while surfing. I was looking for a property that was easy to rent out with minimum hassle as I am living abroad. I haven't been back in the UK since I bought the property. Everything was done and all my questions were answered via email e.g. type of property, layout, area, expected return. Yes, I am indeed happy with the service. All issues were made clear well before the final stage. Property is registered under my name and Title deed documents were received. The thing I like most are friendly people to deal with. Everything was explained step by step leading to purchase of the property without seeing the property physically. I liked the rent guarantee scheme most. Every quarter I know the exact amount I am going to get. I also liked the No maintenance fee, no service charge and one off reasonable solicitor fee. I would definitely recommend Find UK Property to my friends and relatives because the whole procedure of purchasing the property was simple, straight forward, with no hidden costs."